The Freshen Polo is a great range, especially during Summer and for Sports team uniforms. The Freshen Polo is made from 145g 100% DryMax Polyester ultra-high performance fabric. The Freshen Polo has a super quick moisture wicking, keeping the body fresh, clean and cool all day long. Silken-soft finish for unmatched comfort. The Freshen Short Sleeve Polo features a contrast mesh on side and underarm for enhanced ventilation. It has a high UV resistance. The Freshen Polo is static free and iron free. 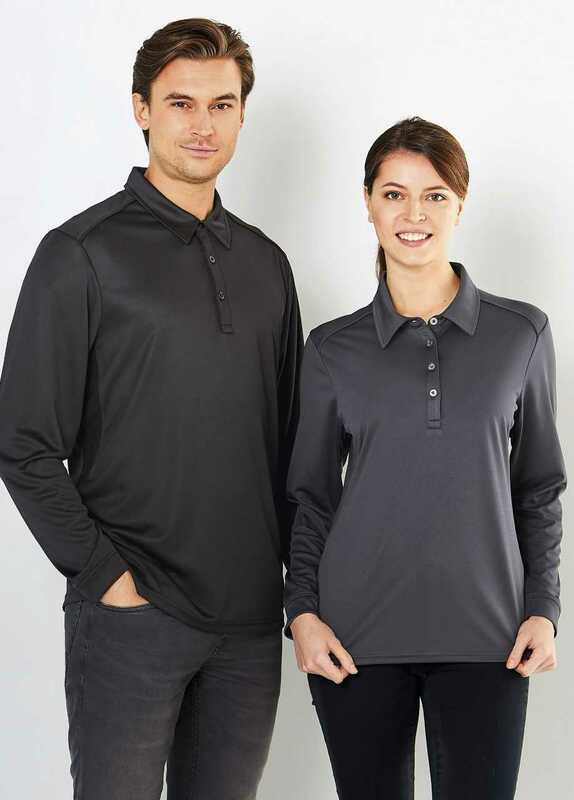 A breathable, quick dry polo, that looks nice! The Short Sleeve Freshen Polo is available in White/Red, White/Navy, Red/Whote, Royal/Navy, Navy/White, Charcoal/Black and Black/Charcoal. 1161 Ladies Short Sleeve Polo available in size 8, 10, 12, 14, 16, 18, 20 and 22. Goodgear have an inhouse embroidery and printing service. We offer low minimum order on inhouse embroidery uniforms. We have a fast turn around on decorated uniforms. Uniforms are completed within 2 weeks of approval and deposit payment. If you need uniforms urgently, just let us know and we will do our very best to have them ready earlier for you. We supply uniforms for corporate uniforms, business uniforms, tradie safety uniforms, school uniforms, and sport team uniforms. Have your team look smart and professional while wearing the Freshen Polo. The Long Sleeve Freshen Polo is available in White, Charcoal, Navy and Black. The Long Sleeve Freshen Polo has the same great features as the short sleeve - quick dry polo, breathable polo, and static free!